Happy New Year! 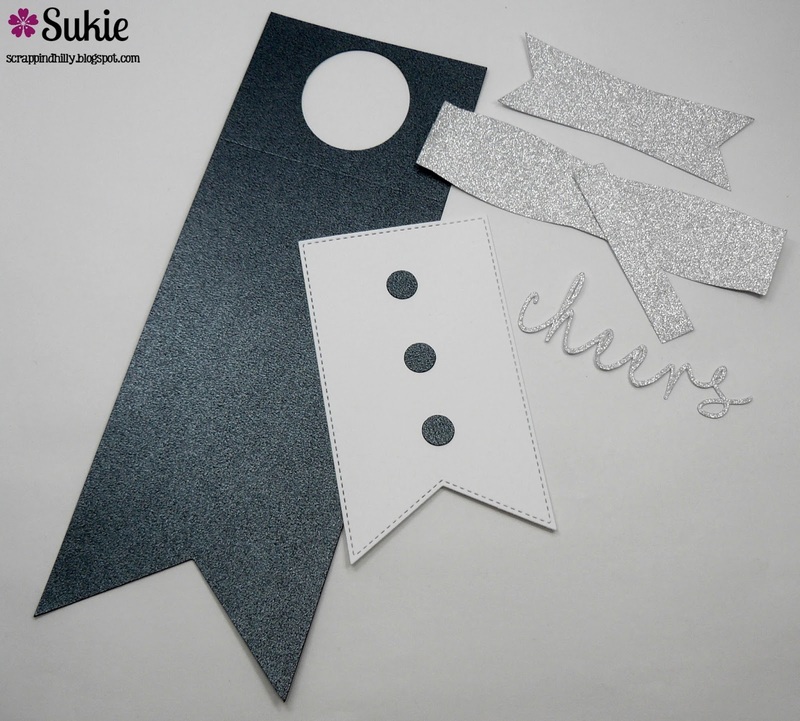 This is Sukie and today I project to share which can quickly be transformed into an elegant hostess gift. Now that New Years is over I am able to share this gift giving idea. 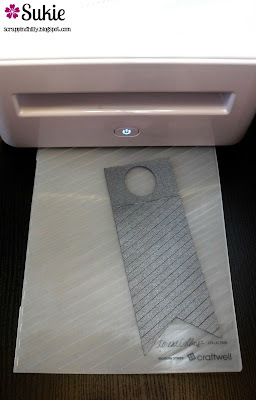 I started my project by cutting out a wine bottle tag which I designed in Cricut Design Space. 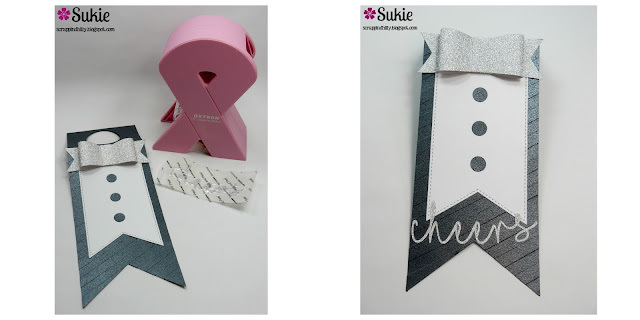 The bow and sentiment were also cut with my electronic die cutter. I cut the white banner out with the Fish Tail Banner dies. The wine bottle tag was embossed below the score line with the Modern Stripe embossing folder. The shimmer paper gives the embossing an elegant look. 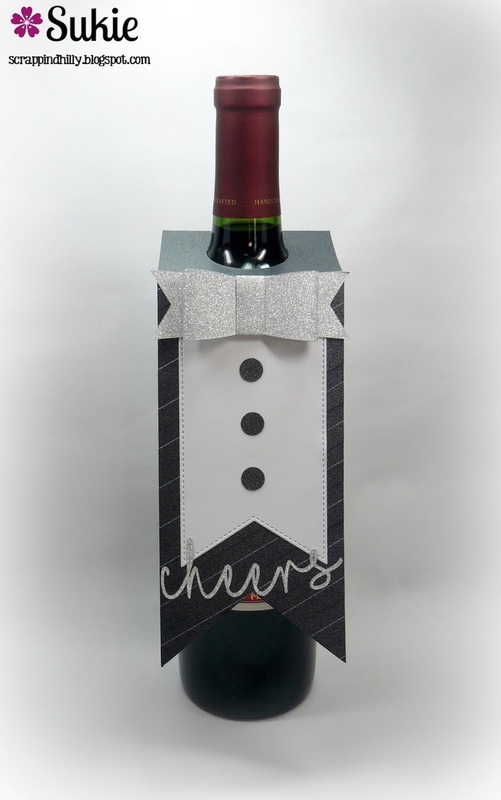 Once I created the bow, everything was adhered on the wine bottle tag. I ran the intricate sentiment through my Xyron sticker maker for easy application. The wine bottle tag is a super quick and easy way to transform a wine bottle. The embossing adds the perfect amount of dimension.